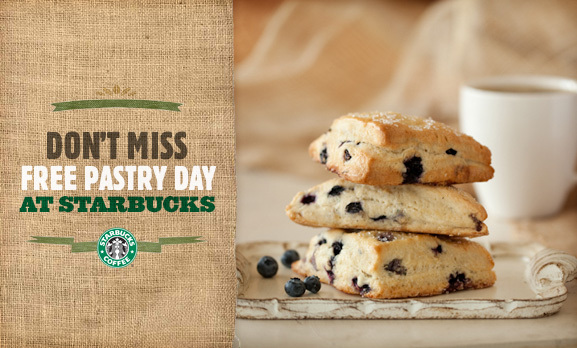 This Tuesday March 23rd, you can receive a free pastry with the purchase of a Starbucks beverage and a coupon. I try not to promote the the ole sbux very much, since they get a decent amount of business from me, but everyone likes free stuff right? Anyway, get in there and enjoy! This entry was posted in Food & Drink and tagged coffee, free, pastry, starbucks. Bookmark the permalink.